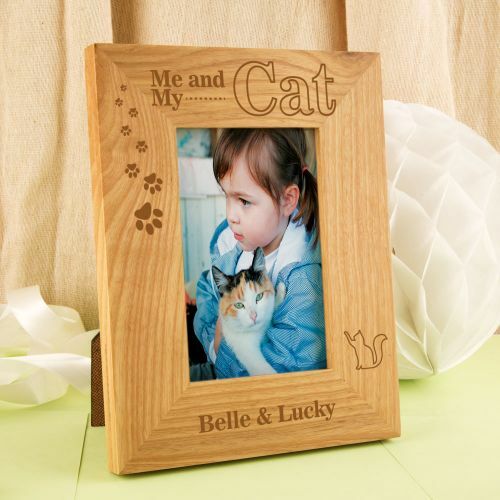 A lovely gift idea to display a photo of the recipient with their pet cat. 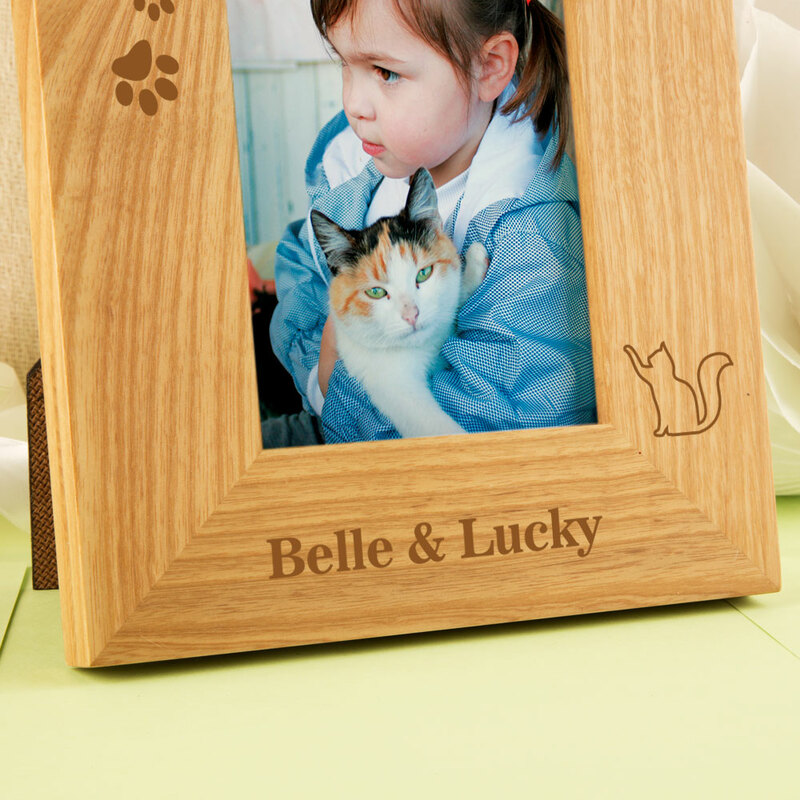 Animal lovers will be proud to show off such a unique gift, so personal to them. 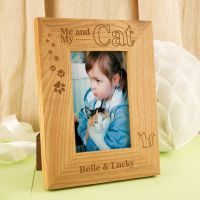 An excellent gift idea for a birthday, Christmas or any other special occasion – they wont own anything quite like it! This solid oak frame is laser engraved with “Me And My Cat”. 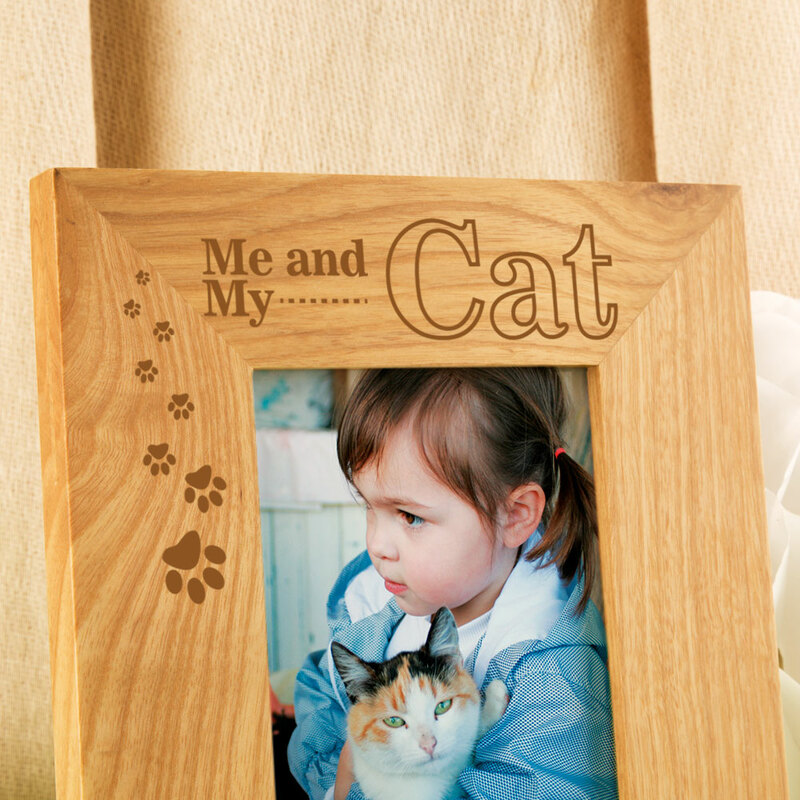 It features the cat and owners name at the bottom, and is made complete with an outline of a cat on either side. The rustic wood will suit any décor, and it is sure to bring a smile to their face whenever they see it. 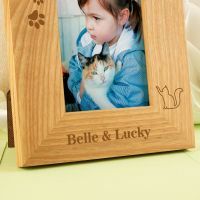 The portrait frame holds a 6 x 4 inch photo. Every frame is unique because of the natural grain of the wood. The laser darkens the wood providing definition that would otherwise be lacking with standard engraving.